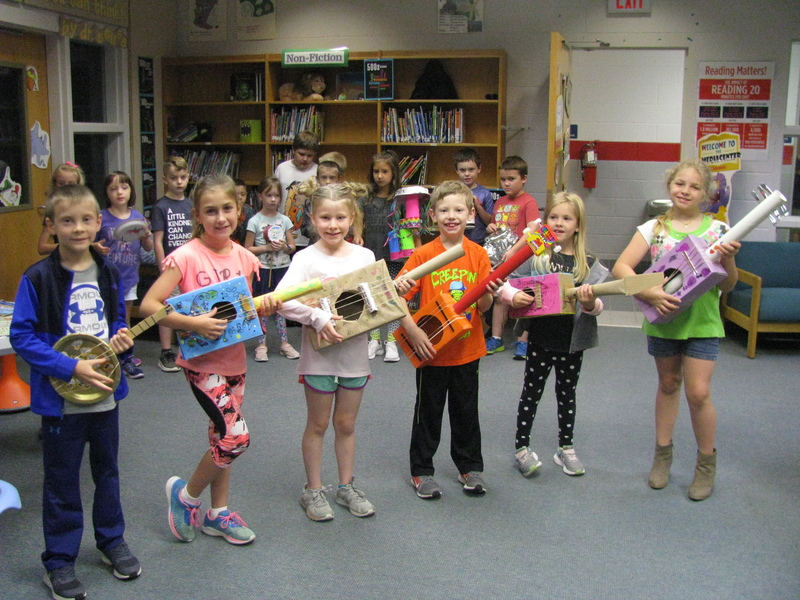 Second Grade is getting musical with their Science lessons these days. 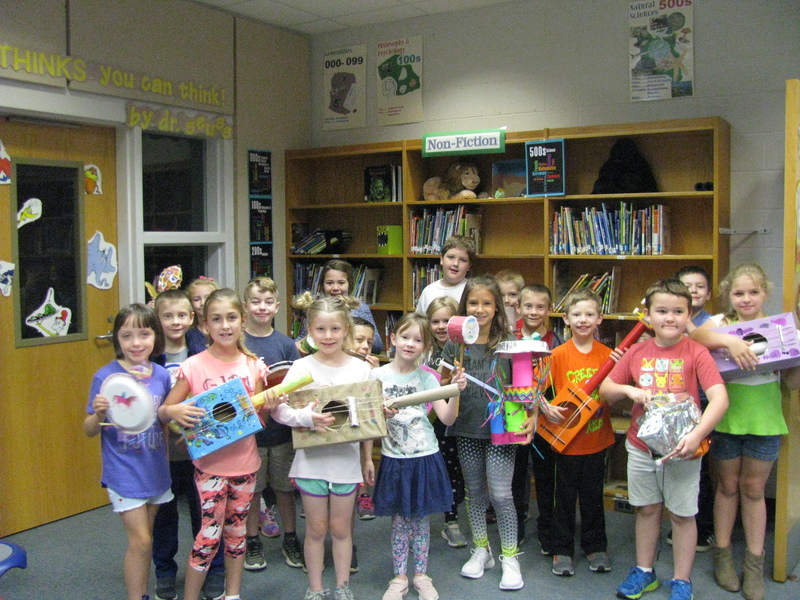 They have been learning about Sound: how it travels, how to make sound through vibrations, and how different sounds can have different pitch levels. Students created different instruments to demonstrate the different ways sound can be made through vibrations and the variety of pitches it can create. 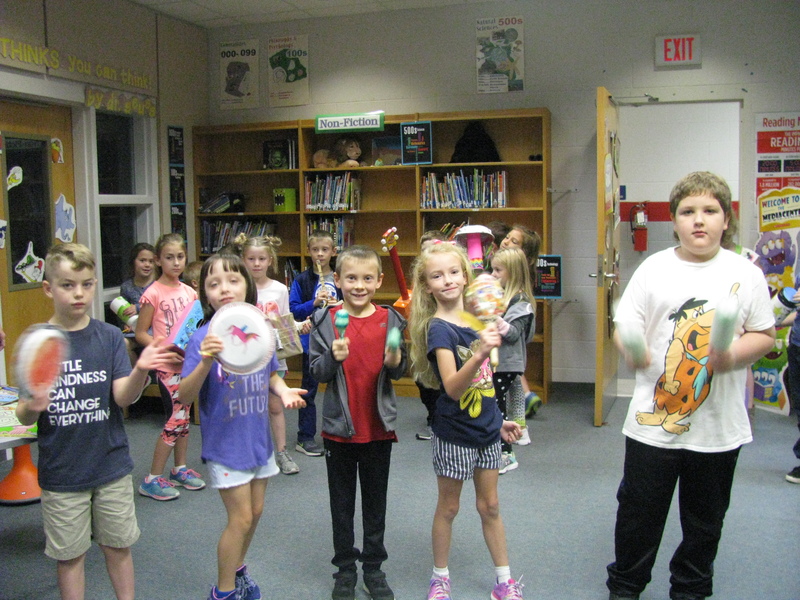 Some instruments have strings that must be strummed while others have beads that must be shaken to create sound. 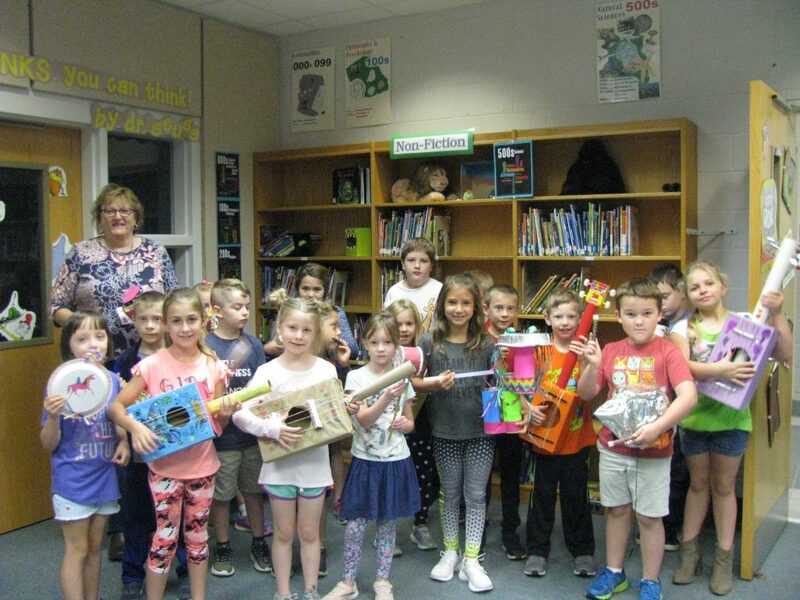 Each student created a unique and usable instrument. 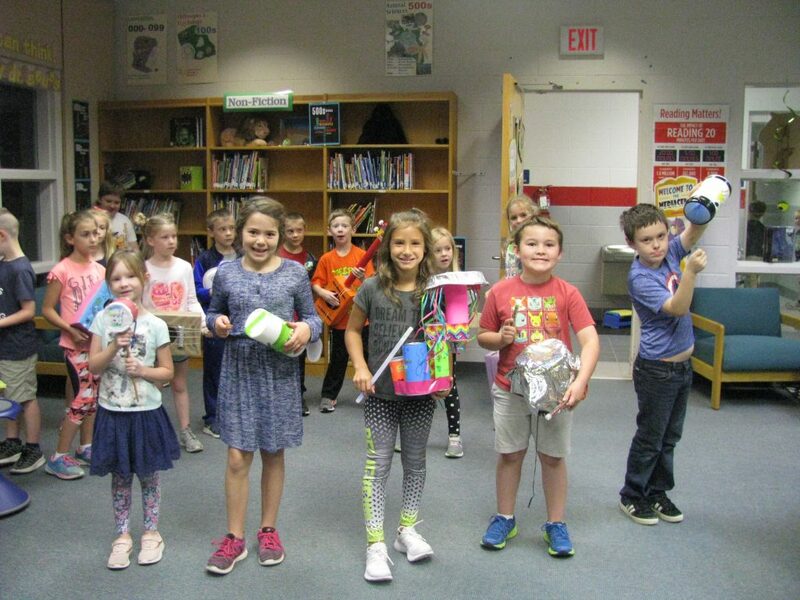 Once everyone was assembled, the band was able to strike up an awesome tune as they marched throughout the hallway and the Media Center. 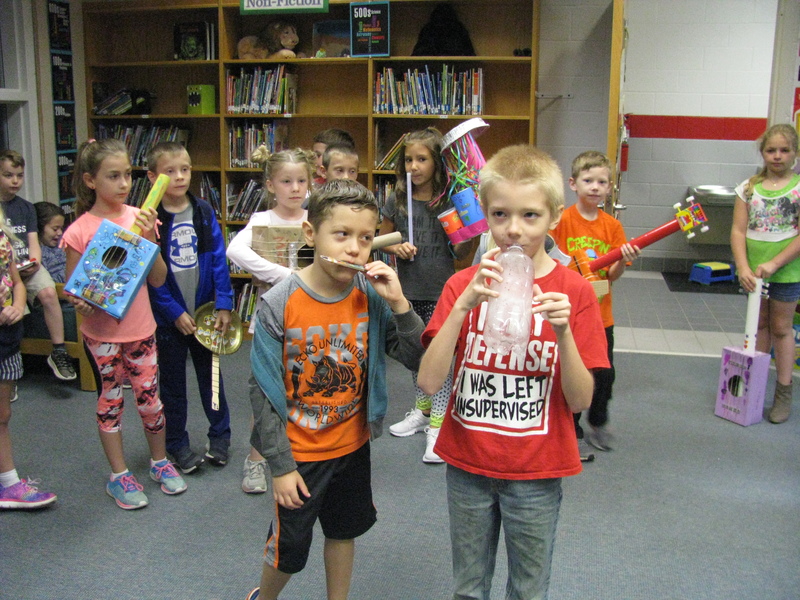 It was scientifically and musically awesome! !